This year is shaping up to be a big one for 20th Century Fox, with the release of highly-anticipated superhero movies such as Deadpool and X-Men: Apocalypse. This year will also be huge for the studio as a number of other big projects starts production. 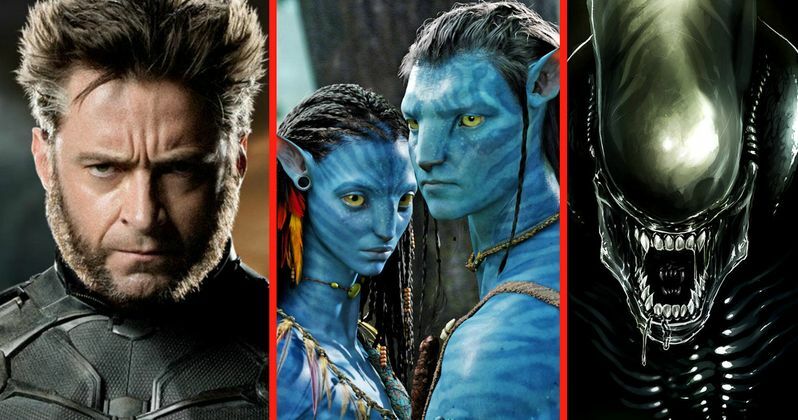 Today we have start dates for three of the studio's biggest movies, Wolverine 3, Avatar 2 and Alien: Covenant. All three of these movies start filming in April, albeit in different locations around the globe, according to My Entertainment World. Wolverine 3 is reportedly set to start filming on April 25 in New Orleans and Mexico. Star Hugh Jackman revealed last week that the script was finished, although he wouldn't say exactly when production will get started. The actor is currently the only confirmed cast member at this time, but it is believed that Patrick Stewart will also be back as Professor X. No story details have been confirmed yet. James Mangold (The Wolverine) is directing Wolverine 3 from a script by Michael Green, who is also writing the Untitled Blade Runner Project and 20th Century Fox's Alien: Covenant. Avatar 2 was recently pushed out of its December 2017 release date, shortly after Disney's Star Wars: Episode VIII was pushed from May 26, 2017 to December 15, 2017. Production is scheduled to begin in mid-April, with shooting scheduled to begin in New Zealand. It is believed that production on all three sequels, Avatar 2, Avatar 3 and Avatar 4, will happen simultaneously, but it isn't known how long production is expected to last on director James Cameron's follow-ups. Ridley Scott's Alien Covenant is set to start filming this April in Sydney, Australia. It was recently confirmed that this story will be set a decade after the director's 2012 sci-fi thriller Prometheus, with Alien: Covenant starting a new trilogy that will eventually connect to the director's original 1979 sci-fi classic Alien. Michael Fassbender is returning as his Prometheus character, the android David, but no other cast members have been confirmed at this time. In related news, the site has also listed production updates for several other highly-anticipated films. The Universal Pictures sequel Fifty Shades Darker will start production later this month in Vancouver, with Dakota Johnson and Jamie Dornan returning as Anastasia Steele and Christian Grey. Paramount's Ghost in the Shell starring Scarlett Johansson will also start shooting this month in locations such as New Zealand, Hong Kong, Macau and Shanghai, China. Warner Bros. Untitled Blade Runner Project will start shooting in July in the U.K. and Hungary, although the studio hasn't set a release date quite yet. And finally, Paramount's Transformers 5 will start production in May, with Mark Wahlberg set to star under the direction of Michael Bay. Stay tuned for more updates on all of these projects as we get closer to production starting.